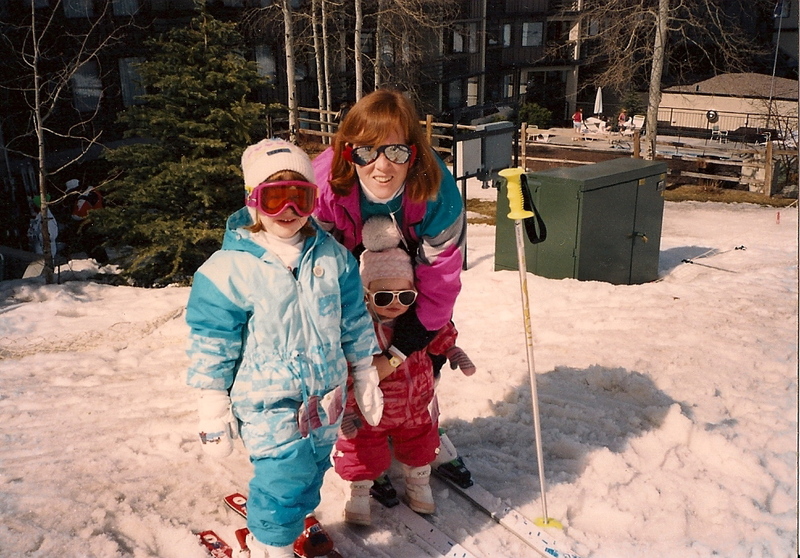 I first learned to ski when I was four years old. We used to take trips out to Snowmass, Colorado, every few years. 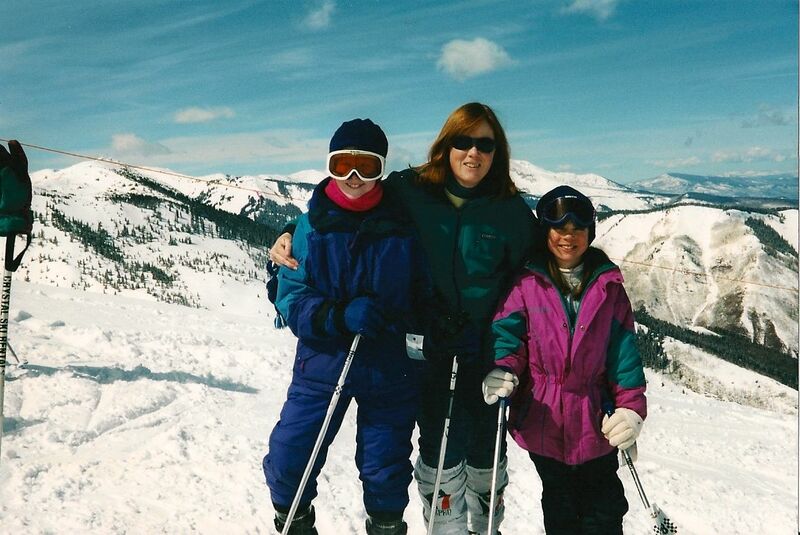 I’d been to Snowmass twice before I was old enough to go to ski school. One year old: Too little to ski, so I’m “sledding” in the living room. Four years old: On the slopes with Mickey Mouse goggles. I was never an athletic child—in my entire life, I have been a member of exactly zero organized sports teams (besides gym class and one brief stint at Bookstore Basketball, neither of which count at all). But I’ve always loved skiing. There’s something about flying down the mountain, enclosed in my own little world, that’s incredibly peaceful. Snowmass is definitely my favorite place to ski, though I haven’t made it out there in a while. The mountain is wide-open with a lot of variety in runs, the landscape is beautiful, and I always loved exploring the kids’ trails—little, winding runs through the woods! I was able to take a short ski trip this year for the first time in a while, and I can’t wait until next year’s ski season.